Comments The jewels of the Nizams of Hyderabad are the richest and largest collection in India! 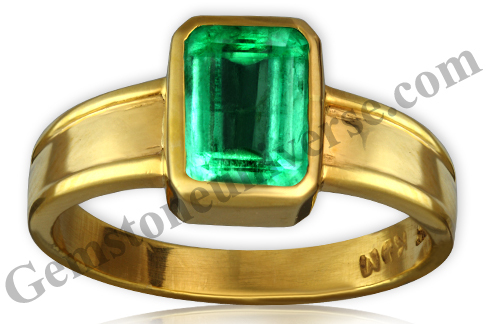 There are almost 2000 Emeralds, of which some are Colombian, totalling to a weight of a whopping 10000 carats! 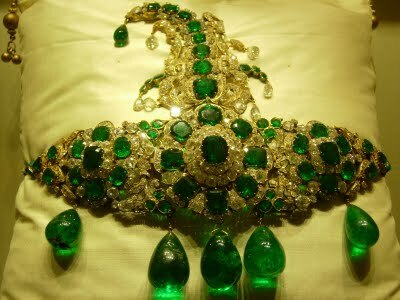 Emeralds were set in turban ornaments, necklaces, buckles, arm bands, earrings rings, cuff links and buttons to name a few! Their love for Emeralds is legendary! Also the kings of the Mogul dynasty revered them so much that they had holy scriptures inscribed on them! Have a look at the Emerald earrings and Emerald ring worn by Angelina Jolie at an event! Not only is she looking stunning, the Emeralds are also exquisite! 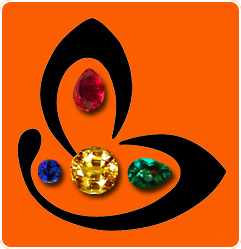 Magnificent jewelry for a larger than life celebrity with a heart of gold! Not only has Jolie adapted children from various poor nations like Ethiopia, Cambodia and Vietnam, but she also is a goodwill ambassador for the United Nations High Commissioner for refugees! She is very well known for her humanitarian efforts! Early summer grass green colored fully natural and unenhanced Colombian Emerald with an empowering Sattvik nature will surely take to the heights that Mercury is capable of! Has made of empowering Jyotish talisman for Mercury the planet of Business and communication and finance when set in this 22K Gold ring!